We’ve got a treat for you! Peckish? If you’re on the hunt for ‘restaurant deals near me’ the chances are that you want to find the tastiest, best value food offers in you area. If that area happens to be Liverpool then you’re in luck. Here at Villa Romana we are currently running one of the best value restaurant deals around – 50% off all pizzas and main course pasta dishes every Wednesday evening. 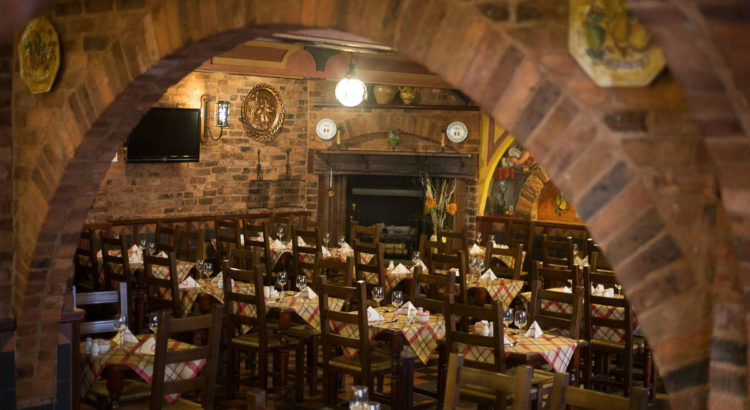 Villa Romana has been serving authentic Italian dishes to the people of Liverpool for a long time now and you’ll find plenty of glowing reviews of our food and service online. If you fancy sampling our menu yourself, there has never been a better time. You’ll always find a range of great restaurant deals on the ‘what’s on?‘ page of our menu and, at the moment, the opportunity to save 50% of your food bill is top of the list. Food offers don’t come much better than this, so we strongly advise you to book if you would like to join us this Wednesday. The offer is available from 5:30pm all evening on any pizza or main course pasta dish (not in conjunction with any other offer). What can I get on this great restaurant deal near me? PANCIOTTI just £4.98 every Wednesday night! CANNELONI VILLA ROMANA just £4.88 every Wednesday night! CANNELONI DI SPINACI v just £4.88 every Wednesday night! LASAGNE – just £4.88 every Wednesday night! PIZZA CAJUN just £4.83 every Wednesday night! CALZONE just £4.83 every Wednesday night! FIORENTINA just £4.83 every Wednesday night! CAPRINA v just £4.83 every Wednesday night! This is just a small selection of the dishes available on our food offer, so please do check the menu section of our website for the full list and of course let us know on arrival if you have any special dietary requirements, which we will do our best to cater for. If your search for ‘restaurant deals near me’ has left you in the mood for a great Italian feast get in touch now to book your table and take advantage of this great Liverpool city centre restaurant deal.